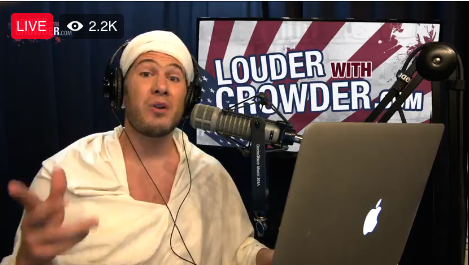 Steven Crowder live on Louder with Crowder! Patriot Pawn & Gun is holding a Louder with Crowder special: Free shipping on all firearms and AR-15’s starting at $599! We can ship most Class II firearms on the market and we offer competitive prices similar to the big online guys. We’re small, but we care, and we employ US Military Veterans and support Veteran Causes like Soldiers Freedom Outdoors. Your business is appreciated. Email us at PatriotPawnIdaho@gmail.com or call us today (see contact info tab at top of website). Get armed. Get trained. The terrorist attack in Orlando is yet another of many awful tragedies perpetrated by Islamic Jihadists or mentally disturbed young white kids. Your government will not protect you. You are on your own. Gun Rights are the Right to Self Defense. This interview debunks everything the Anti-Gun Crowd throws out there to blame the NRA and legal gun owners for all the gun violence. Logically, methodically, reasonably….we deconstruct their False Narrative and apply some much needed common sense.